During Ramadan, some people over-sleep or under-sleep. To help you have a healthy sleep, we show you how you can manage your sleep better, how your sleep cycles works and how you can calculate the right sleep time, whilst keeping up with your work, spiritual obligations and other commitments in Ramadan. Are you ready to make the most out of this Ramadan? If so, let us know your thoughts and ideas on iTunes or Stitcher Radio. 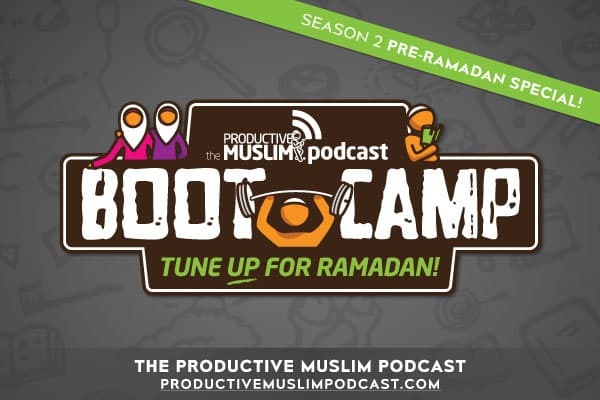 This helps us get the word out there and in turn give us the opportunity to benefit more people.For more resources including pre Ramadan, Ramadan and post Ramadan courses, check out the Productive Muslim Academy.